DeepDyve users enjoy the convenience of having millions of articles at their fingertips, all in one place, and just one click away. "Clarivate Analytics’ citation data makes it possible for users to locate highly cited content more quickly, further streamlining the DeepDyve user experience." DeepDyve and Clarivate Analytics today announced that Clarivate Analytics’ citation data is now integrated into DeepDyve’s online rental service for scientific and scholarly research. Articles from the Web of Science that appear on DeepDyve will now include a Times Cited feature indicating how many times those articles have been cited. These real-time citation metrics, powered by Web of Science, enable users to quickly assess the authority and impact of a given article and focus their research efforts accordingly. Additionally, users will be able to link directly to the Web of Science in order to learn more about its features and capabilities. With an estimated 2 million new scholarly articles published annually, researchers are challenged with keeping pace with the latest findings relevant to their projects. Citation frequency is a valuable measure of how widely accepted an article is within the scientific community, however, this data can be difficult to aggregate and analyze. Clarivate Analytics makes this citation data integral to the DeepDyve workflow. Visit https://www.deepdyve.com to learn more about DeepDyve and to sign up for a free, two-week trial. For more information about Clarivate Analytics’ Web of Science offering, visit https://clarivate.com/products/web-of-science/. 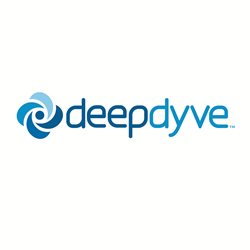 DeepDyve is the largest online rental service for scientific and scholarly research providing affordable, full text access to over 15 million articles from more than 12,000 peer reviewed journals. The company is headquartered in Silicon Valley and has partnerships with the world’s leading academic publishers, including SpringerNature, Elsevier, Wiley-Blackwell, Oxford University Press and many more. Learn more by visiting us at http://www.deepdyve.com, and follow us on Twitter (@deepdyve) and Facebook (http://facebook.com/deepdyve). Clarivate Analytics accelerates the pace of innovation by providing trusted insights and analytics to customers around the world, enabling them to discover, protect and commercialize new ideas faster. We own and operate a collection of leading subscription- based services focused on scientific and academic research, patent analytics and regulatory standards, pharmaceutical and biotech intelligence, trademark protection, domain brand protection and intellectual property management. Clarivate Analytics is now an independent company with over 4,000 employees, operating in more than 100 countries and owns well-known brands that include Web of Science, Cortellis, Derwent, CompuMark, MarkMonitor and Techstreet, among others. For more information, visit https://clarivate.com/.